* Today I watched our church people storm the “Missionary Gift Request” table after church. Almost every gift was gone in no time flat. Our people truly rallied together to meet the needs and wants of our missionaries!! I am so excited about the missions conference next week!!! * Today I watched a father and a son get baptized in our service. It was amazing to see the fruit of faithful witnesses in such a clear way! * Today at the end of the service we had a new family come and join our church!! Welcome to our church Ron, Linda, and Jonathan Cooper!!! I am excited about serving along side of you! * Today was our Summer Wilds Registration Sunday!!!! It was amazing! We started sign-ups today, and I was extremely encouraged by the response!!! Praise the Lord, we got the peer pressure pendulum going in the right direction. Everyone was so pumped about going to camp!! I even had to turn down several adult chaperones AGAIN!! I wish I did not have to turn them down!! I WISH WE WERE TAKING 200 TEENAGERS AND THEN WE WOULD DEFINITELY NEED MORE CHAPERONES!! * Tonight we had a guest speaker: Don Brooks. He was so refreshing to listen too! He was funny, relevant, and impacting! It was a joy to spend time with him and his wife at TGI Fridays after the service. I am thinking that he would be a great guest speaker for a couples retreat that we are beginning to plan for sometime in the next few months. * It was a great day! I am so excited about this week!! I gave every book away for our “Mens Reading Group” . I tell you what!! There is nothing like seeing a DREAM come to fruition!!! It is amazing! I know this is a small one, but I think it will have a great impact!! Read about what we are doing by clicking on the “Books” link on the right side of this page!! * Thank You Suncoast Baptist Church for letting my family have a part in your lives. It truly is a joy! * Thank you God for an uplifting day! I hope that we uplifted you!! Yesterday was a great day at Suncoast Baptist Church. It is Monday already, and I am out of my “trance” from the busy day, but I want to write about it anyway! Here are some of my thoughts about the day. Today we wrapped up our Stewardship series that has been going on all throughout the month of November. Great message about Tithing in the morning service! Wow! It was convicting even to the faithful tithers! How much more could we do? Do you want to be blessed or do you want to be cursed? If I gave you money so that you could take care of my Bride while I was away, and you did not take care of my Bride while I was gone… Let’s just say: You’re in big trouble mister!! So take care of Jesus’ Bride, THE CHURCH! Great Evening Service! Pastor Chip hit a home run with that message! It was dynamic! Pastor preached about Esau and Jacob. Esau gave up his birthright, for a temporary passion. What great things are you giving up for your own fleshly passions? Far to often we am tempted to give up all of the great plans that God has for us, our families, and our church by satisfying my flesh with some sinful desire. Let’s not make the same poor choice that Esau made! I was priveleged to play the drums tonight with the Praise Team! I LOVED IT! I have not played in several years so it may not have been pretty but I thoroughly enjoyed it! While sitting in a different seat tonight, (at the drums) I noticed things that I did not normally see. I want to look for more ways to see different perspectives about our church and our services, both the good and the bad. It is far to easy to get lost in doing the same thing you have always done before whether it is right or wrong. At the end of the day on Sunday, a pastor generally walks around in what would seem like a trance. After the emotional and physical wear that a busy day at church brings, a pastor wants and needs to just relax. Many times however, that is the last thing that a pastor can do. Most Sundays, a pastors mind is in high gear thinking about all of the events of the day, which makes it tough to just turn off the excitement and relax. 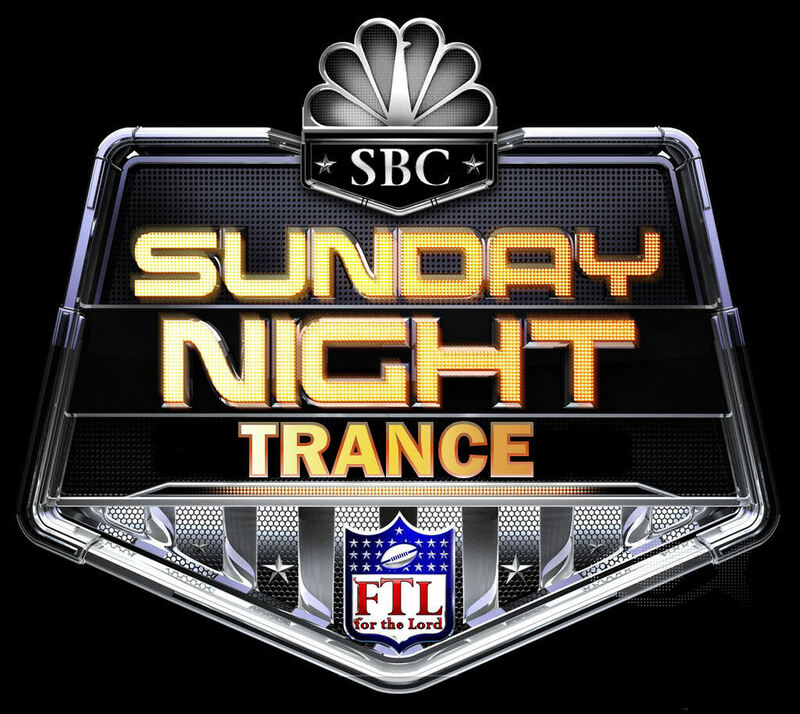 That is why you are here… The Sunday Night Trance is a place where I can go to drop off all of those thoughts about the day on Sunday, and maybe they will be an encouragement to you! Let’s get started. • We had visitors again today who came because of our Trunk or Treat outreach! We have had new visitors every Sunday since November 1st because of that event! • Our faithful sound man was out of town this week and Mr. Burton filled in and did a great job! Thank you! • Pastor Chip preached an awesome message about how great Heaven is going to be! Makes we want to be there NOW! • People were taking tickets for our Christmas Musical like CRAZY! If you want to get in the doors Saturday night you better not play around about getting your tickets! They are going quick! • Tonight was a great service where we took part in the Lords Supper. Such a great service and a great message. • Pastor Chip played an audio clip by Frank Peretti that was absolutely POWERFUL! I was ready to go to the alter in the middle of the audio clip. I should have! • Tonight, during the Lord’s Supper we took the elements into the Nursery and I saw Deanne Parker in their watching my son and another toddler. I was so thankful for her, because she was willing to sit in their so that Katie could sit in the service with me! I love sitting with Katie! • Talked with Pastor Chip after church and he told me that a teenager walked up to him and asked if he could be in the choir!!! Are you kidding me! That is amazing!! Pastor asked him if he had accepted Christ and he said no, but he wanted to… Pastor led him to the Lord right there!! Praise God!! How cool is that! There are many senior pastors that would have just passed the buck on that… I am so thankful for a pastor that is passionate about introducing people to Christ! •Excited about this week! Lots to do! • I am pumped about TUESDAY NIGHT! We are going to have a great time testifying together about How Great Our God Is!!!! !